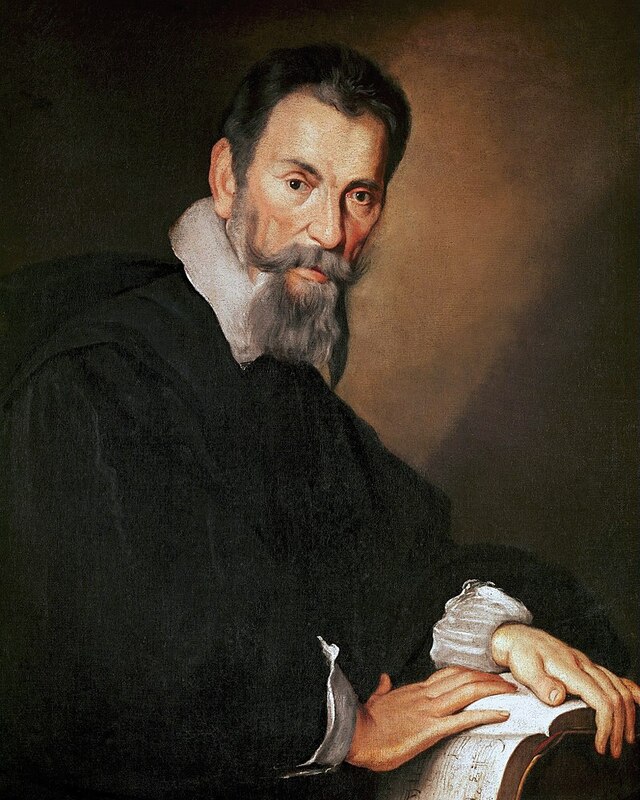 Claudio Monteverdi was a man ahead of his time, a trailblazer in the then-new form of opera and a composer who approached his mostly vocal output with fealty to the words and a concern for their expressive power that was paramount. To begin its 16th season of concerts, the Seraphic Fire choral group presented about an hour’s worth of excerpts from Monteverdi’s 1640 collection of secular and sacred songs, Selva Morale e Spirituale. Founder and conductor Patrick Dupré Quigley presented these works with eight singers and a five-piece chamber ensemble of two violins, cello, lute and positif organ. In the fourth and final presentation of this program at All Saints Episcopal in Fort Lauderdale on Saturday night, there was an energy to the uninterrupted presentation (Quigley requested no applause between the 13 pieces) that was much more akin to a rock concert than a traditional choral event, to say nothing of a choral event featuring music nearly 400 years old. The band — violinists Adriane Post and Laura Rubinstein-Salzedo, cellist Guy Fishman, organist Justin Blackwell and lutenist John Lenti — had as much to do with this as the singers; they played superbly, with vigor and commitment as well as wide-ranging dynamic contrast. And there were gratifying extra touches such as Lenti’s improvisations between songs to cover personnel changes and to set up new keys. The ensemble singing, which varied from all eight singers to five-person madrigals, as well as trios and duets, was remarkably fine, with a beautifully blended, white-tone approach that helped the performances sound definitive. As with the band, dynamics and expression were vivid and powerfully communicative, and the joint energies of the two groups brought Monteverdi’s aesthetic to wonderful, immediate life. There also was some notable solo work, particularly from countertenor Douglas Dodson, whose Laudate Dominum in sanctis eius was a tour de force of characterful singing. Dodson has a beautiful alto sound with substantial power, and he made the most of Monteverdi’s onomatopoeic vocal display for the Psalm text that called for praising God with trumpets and cymbals. Soprano Meredith Ruduski’s light, agile instrument was effective in her solo reading of Sanctorum meritis, but came off to much better effect in her duet with soprano Margot Rood in Iste confessor. Rood is an artist I’ve much admired in her years with Seraphic Fire for the roundness and clarity of her voice, which was not only on fine display in her Confitebor tibi Domine with tenor Patrick Muehleise and bass James Bass, but also in the opening Beatus vir and the simple, beautiful Kyrie eleison from the collection’s four-voice Mass. Three all-male trios also stood out: The catchy Deus tuorum militum, with tenor Stephen Soph joining Muehleise and Bass to dig into its “blue” note along with the chamber group; a somber Salve Regina with Dodson joining Soph and Bass, and a vibrant-and-gloomy Chi vol che m’innamori with Dodson and Muehleise joined by bass Steven Eddy. Singers moved on and off the All Saints altar as they were needed, which added to the feeling of open mic night at some hipster boite in early 17th-century Venice, had there been such a thing. Quigley only conducted some of the pieces, leaving the majority of them to the singers and the band. And when he was on hand for the larger pieces, he was in familiar form: Vigorous, forceful and absolutely engaged with the task at hand. The closing Dixit Dominus, with its rockets of tricky melismas and multiple time and mood changes, encapsulated why this was a memorable performance. This is very difficult music, not just in sheer technical challenge but in idiom, and it took great skill on the part of everyone involved to bring it off so spotlessly and with such polish. It remains astonishing that a group this good was not only founded in South Florida but continues to call it home after 15 years, and that performances of this caliber can be seen in a handful of modest local churches (if you doubt it, take a spin through any number of YouTube videos of this music and you’ll see how much better Seraphic Fire is than virtually all of them). The concert opened with a contemporary American work, the last of nine world premieres Seraphic Fire commissioned last season. In Columna, by the Chicago-based composer Drew Baker (b. 1978), sets the last two verses of chapter 13 of Exodus, in which God leads the Israelites with a pillar of cloud by day and fire by night. Baker, whose work is as much about pure sound as it is about music, floated soft clusters of sound over continuously moving slow music in the chamber group. At the end, the choir left the stage to stand in the wings, four on each side, and whistled a single note as the music faded, becoming part of the instrumental fabric. It’s a very good piece, short and hypnotic, and a canny setting of the Bible verses. It has more to do with sound painting than traditional song, but that seems to be the way of contemporary composition today, and Baker shows in this work that he’s mastered that aesthetic.